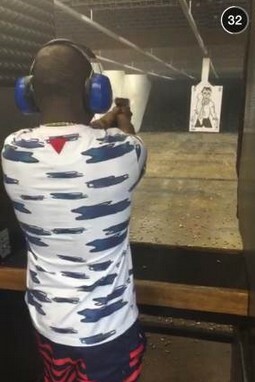 Singer Davido has visited a gun range in Atlanta, where it shows the singer currently learning how to use a gun. May be he wants to start moving around with one, that we don’t know or maybe it’s just for fun- adventure, we still can’t answer either. Many celebrities in the past have however gone to such places to learn how to handle a gun for fun. One time Miss World, Agbani Darego once did.